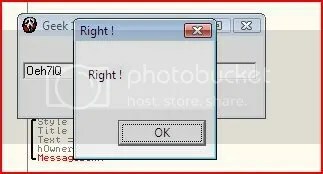 This crackme was downloaded at http://www.osix.net/modules/geek/reverse.php, a challenge site. g1.exe	–	The target we are reversing. 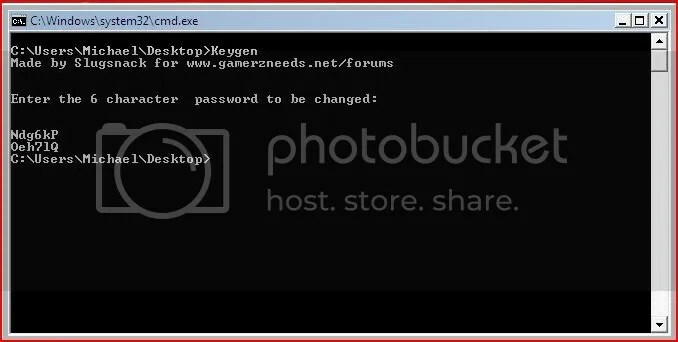 Keygen.exe	–	A keygen I made to get a serial for this application. 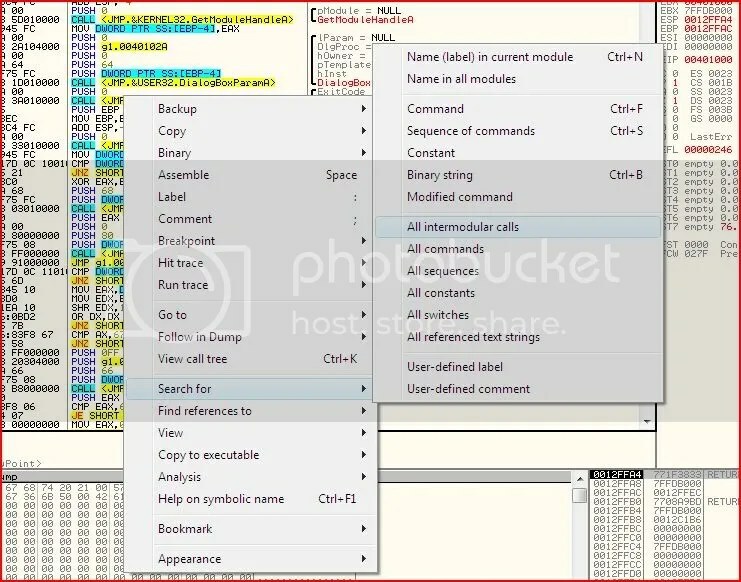 During this tutorial I will assume you have basic knowledge of 32, 16 and 8 bit registers and how they interact with each other, basic assembly, flags, the memory stack and Win32 APIs or otherwise the API help files. If you need any help on any of this, post below and I’ll see what I can do to help (don’t be scared to say you don’t know anything about all of the above !). 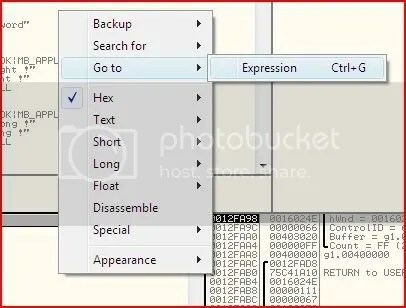 Enter a couple of serials and unless you’re lucky enough to guess the right one you’ll see the executable fetches the contents of the dialogue and then performs some sort of check. We could be retards at this stage and patch the JNZ to a JE or JZ and we’d keep going to the right message box but we’re looking for a serial here, not a cosmetics patch. First of all I’ll talk about the call a little bit. This call means the code is calling some sort of procedure or function. We need to look at what this is so we step into the call. Now that we are at the call, press F7 to step INTO it. Pushes the values of those two registers onto the stack. So those three instructions made ECX, EAX and EBX zero. ECX is compared to 6 and if ECX is below 6 then we jump to 0040111E. Of course ECX was just zeroed a little while ago so let’s hope somewhere along the line ECX will reach 6 otherwise we’ll be looping round forever. ESI holds our 6 character password we entered, ECX currently holds 0 and EDI holds the mysterious string Ndg6kP. Since ECX is currently 0, we are just moving the first byte of ESI (1) into AL. Then the first byte of EDI (N) is moved into BL. – ECX is acting as a counter as well as holding the offset from the start of each of the two strings (our own and the hardcoded one). This means AL and BL will have each of the other bytes of each string moved into it. ie. AL will hold “2” after the next cycle of the loop, then “3”, etc. and BL will hold “d” then “g”, etc. – We don’t want to jump out of the loop from the JNZ. Why ? Because we jump to 00401138 where 0 is moved into EAX which would mean we would get the “Wrong !” message box. A word of advice, if you want to use my “keygen” you will need to run it through a console since it will exit so quickly you won’t be able to see anything. 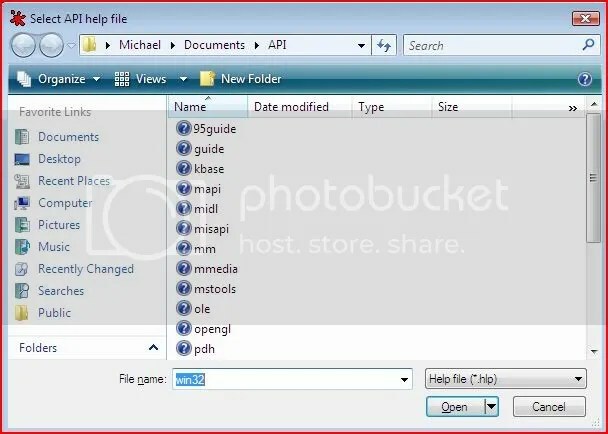 To do this, navigate to the folder holding the keygen and then type in the executable name (Keygen). So for me it was stored at my desktop so I changed drive to C: by entering to command prompt and typing “C:”. Then I navigated through the directories to my desktop by typing “cd Users/Michael/Desktop”, cd stands for change directory. Then to run the executable I just typed in Keygen and voila. You may notice that the first four lines of instructions in my screenshot and last four lines are nearly the same. The difference is what is moved to EAX (whether our serial is correct or not). Then EDI and ESI are popped which means their values are returned from the stack (whenever you use a register you need to make sure what you was in there originally stays there after you use it). Then we return to the first part of the call that we entered and from there back to the main disassembly. Heh Olly breaks on our set breakpoint on all calls to GetDlgItemTextA. 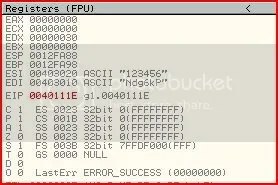 You may remove that now by either double-clicking the hex dump part of that instruction or pressing F2 on it. Press F9 to run the application and..
That concludes this tutorial and hopefully you’ve learnt something, however little I actually wrote this series of tutorials for GzN but I figured there is an awesome learning community here. Greetings – thank you for this intrigiuing piece. Please accept this, my English is a second language to me. Hindi is my first language but I am working on getting down English. See you later! Bản tiếng Việt tôi không có, tài liệu này là nguồn tôi tổng hợp lại thôi, muốn có tiếng Việt thì bạn tự dịch :). 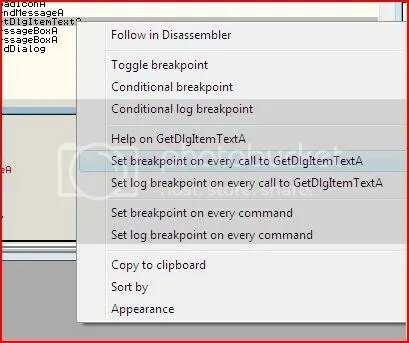 Anh không làm serial “OllyDbg Tutorials” nữa àh? about the 32 16 8 bit you meant : EAX -> AX -> [AI AH]?? i dont get the “interacet with each other”. basic assembly its the 4 basic math symbols? add sub shift left shift right? or more? flags? JNE JE? what else? memory stack you meant the usage of EBP ESP registers? 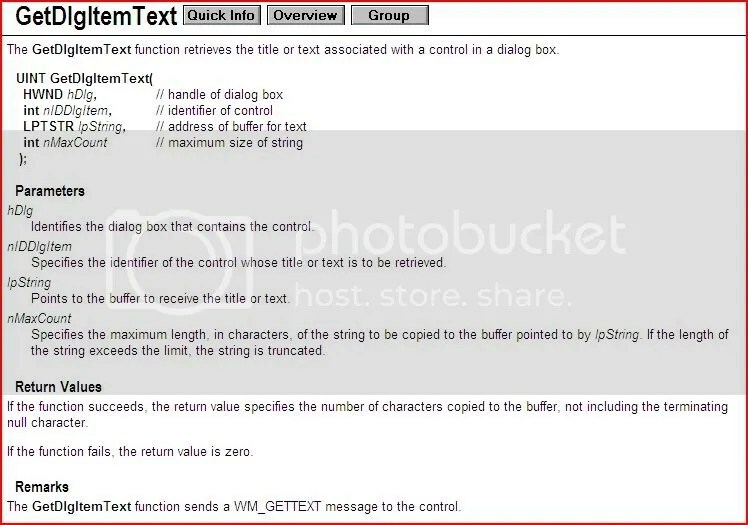 and at Win32 API you meant the use of the functions it gives : read file ,get file,create file..? 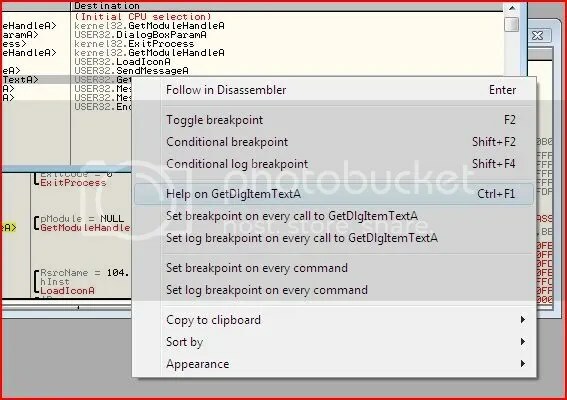 I have a question that, i see the tool immunity debugger, how the difference between this and ollydbg? i can use ID instead of odb ? The download is not working, do you have another link? g1.exe – The target we are reversing. Do you have your tutorials as pdf too? Would be great! Thanks! Please download the link that i share in previous post. You’ve got a email at kienmanowar@reaonline.net hope this was the right one (i’ve found)?! Sorry that i’ve to posting it here but you don’t reply my email. I need the series of your OllyDBG-Tutorials (27) in english! I didn’t use that email : kienmanowar@reaonline.net anymore :). Have downloaded and test it. Why you don’t update your blog/website? Update my blog/website?? According to you, i will need to update about what?